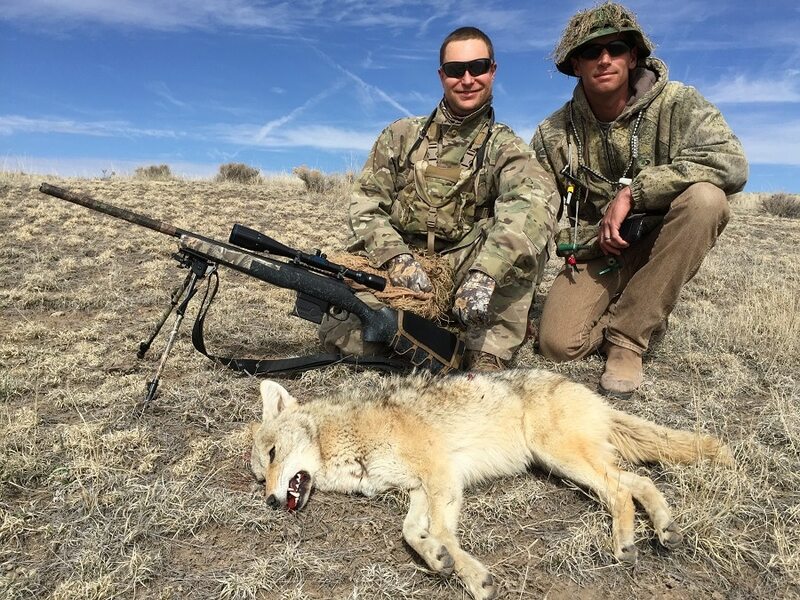 Coyote hunting is one of the most adventurous outdoor activities you can engage. 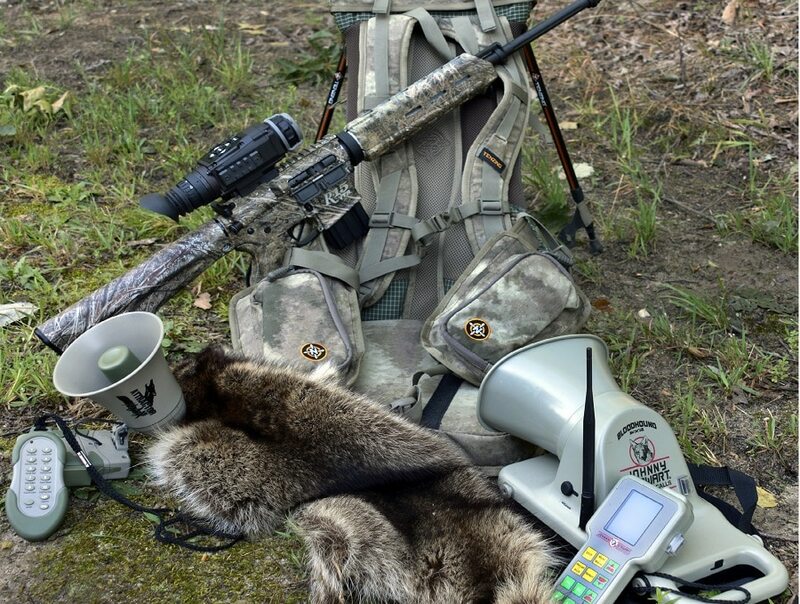 Regardless of your reasons for hunting coyotes, the success of your hunt does entirely rely on the coyote hunting gear you carry. Basically, this is one of the easiest, most cost-effective hunting sports to get into. The best way to start this activity is to prepare the most resourceful and reliable gear checklist. The list of product reviews should help you compare products, and make the most profound purchasing decision. This is, in fact, one of the most important features when shopping for predator hunting gear. You need equipment that weighs less. Lightweight gears are easy to carry from one location to another. For instance, when shopping for a grounder blind and coyote calls, you have to select models that are light and easy to transport. You might have to change your blind position every now and then; therefore, heavy blinds will wear out your muscles. You need to choose gears with resourceful and versatile designs. A good design will definitely have great features that will certainly help you hunt coyotes in the easiest way possible. 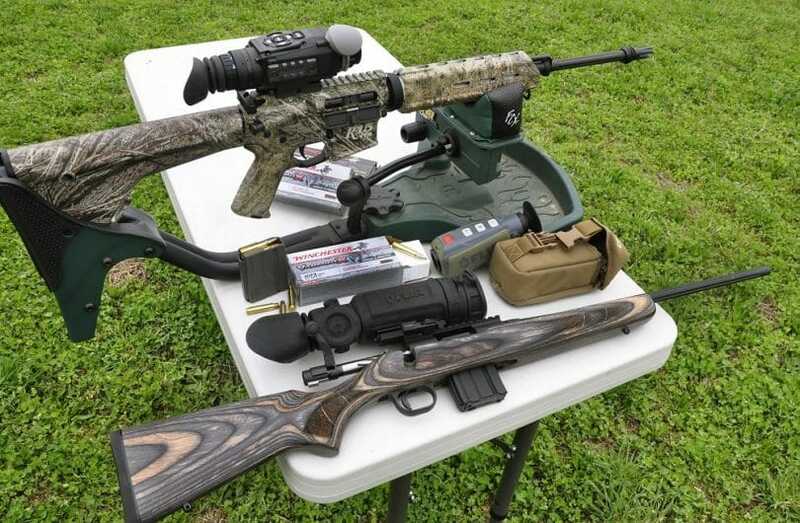 For instance, when choosing a rifle, you need to select a model with reliable caliber, barrel length, stock, trigger system, and riflescope among others. As you can see, gearing up is easy. If coyote hunting becomes your passion, there are actually many items that will make you more effective and help you enjoy the activity. Design Features: 8 AA batteries for base unit & 3 AA batteries for remote; remote has 2.5-inch color LCD; Realtree MAX-1 camouflage; tripod mounting threads; rugged speaker case; USB cable port; audio out & audio in ports; auxiliary jack; 180degree cone speaker; sixty four digitally mastered sounds; ergonomic remote; & rotating directional speaker system. Description: Primos Alpha Dogg is the peak of coyote calling. It’s equipped with expert hunts, along with individual sounds. 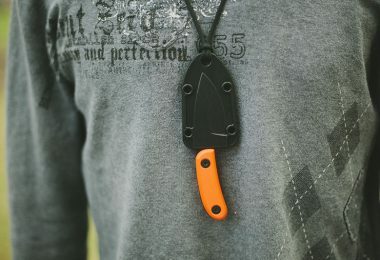 This unique electronic predator call eliminates any doubts when you are out on the hunt. 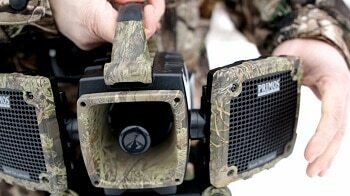 It is preloaded with 6 sets of hunts systems along with seventy five skillfully recorded sounds. It is installed with 180-degree calling coverage with focused high volume audio in one direction. 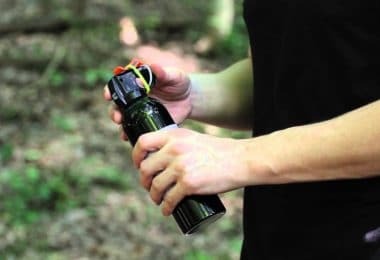 This ensures that any coyote within the proximity will hear the sound. The rotating directional speaker mechanism offers you realistic as well as dynamic sounds. A feature unique to this call is its 2 GB internal memory, which stores approximately a thousand audios from a professional sound library. You can effectively adjust the two cone speakers that cover up to 180-degrees, providing you with non-distortion system. It has hot button options, which allow you to: pull up the desired playlist; recall formerly played sound; change to predefined volume level; change to predefined sound; and operate decoy with motion jack. It comes with a well-built remote fitted with a 2.5-inch color LCD. The Primos Alpha Dogg is equipped with rugged speaker casing with elevated legs, providing you with a robust system that can withstand the harsh conditions of the wild. Generally, this is a compact product, which is well-made. The unique design is amazing and well-applied offering you a calling system with a reliable hidden effect. You should not waver choosing this model if you want a successful hunt. Design Features: Matte black finish; waterproof; 1-in body tube; withstands shock & vibrations; positive steel-on-steel adjustment; double internal spring-tension system; index-matched, hi-Lume multi-coating; quality, precision-ground lenses; high-grade optical glass; threaded anti-reflection device; separated power ring & eyepiece design; Turret indications; finger-adjustable windage & elevation turrets; and simple & accurate reticle design. Description: Measuring 12 inches long and weighing 12 ounces, Burris Predator Quest Riflescope is engineered to help you take down a coyote at ease. The very first aspect of this scope that will catch your eye is the Ballistic Plex E1-reticle. This exceptionally designed reticle recompenses for elevation, wind, and sprinting coyotes at a distant of five hundred yards. The following specs make this riflescope special: 2-7x magnification; Ballistic Plex E1; 41mm objective lens diameter; 35mm clear objective lens diameter; 39mm ocular lens diameter; RFP focal plane; 1-inch main tube size; 45low-13high field of view; 3.1-4.1 inch eye relief; 15low-5high exit pupil; 1/2MOA click value; 60MOA elevation adjustment; and 60MOA windage adjustment. The reticle structure is accurate, simple, and quick, making it easier for you to chase after fast-moving coyote. It is fitted with a threaded anti-reflection device that is very effective in minimizing glare. 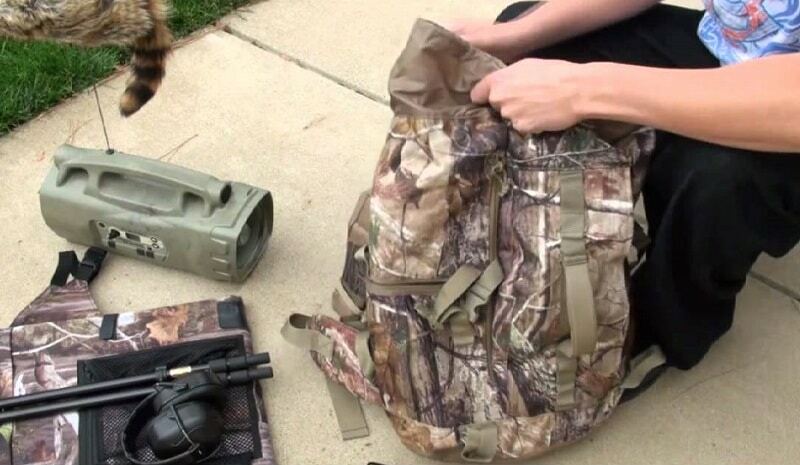 This feature allows you to effectively conceal yourself, allowing you to spot a coyote before it detects you. You can hold zero through vibrations, recoil, and shock, due to the double internal spring tension mechanism. It’s highly waterproof; therefore, you can use it in wet conditions without it getting damaged. It is integrated with high-grade optical glass for lasting durability, clarity, and better brightness. You will always achieve pinpoint accuracy due to the turret indications. In addition, the positive steel-on-steel adjustments offer time after time accuracy. Design Features: .223 caliber; 13 5/8-inch length of pull; ½-inch drop at heel & 11/16-inch drop at comb; detachable magazine & magazine capacity of 6; Realtree Max 1 barrel finish & receiver finish; steel barrel material; composite stock material; matte blued sling swivel studs; gold plated trigger finish; alloy trigger guard material; 8-inch twist rate; polished chamber finish; ergonomic barrel contour; and textured grip panels checkering. 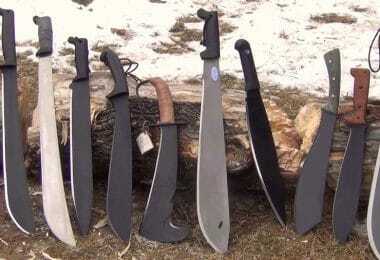 Best Use: Predator hunting & Coyote hunting. Description: X-Bolt Predator Hunter Realtree Max-1 is a uniquely engineered coyote hunting rifle for the money. It is an accurate piece and it feels and looks amazing right out of the box. X-Bolt offers you superior accuracy, which is provided by the glass bedded, free floated, and well-crafted design. Weighing only 6 pounds and 3 ounces, X-Bolt is ultra-lightweight as well as quicker. It is incorporated with a detachable magazine; therefore, you can carry an additional magazine. 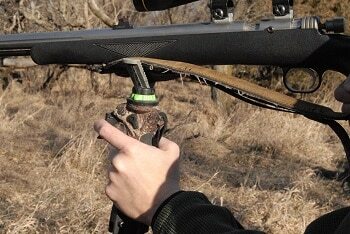 The three-lever feather trigger offers you a no take-up, clean, and crisp pull. The scope mounts is integrated with a newfangled 4-screw per base structure that swaps the traditional 2-screw mechanism. Realtree Max 1 barrel finish & receiver finish; detachable magazine & magazine capacity of 6; 13 5/8-inch length of pull; ½-inch drop at heel & 11/16-inch drop at comb. In addition to the abovementioned features, the x-bolt is incorporated with bolt unlock button, which offers you additional safety measure during checkering and unloading of the chamber. 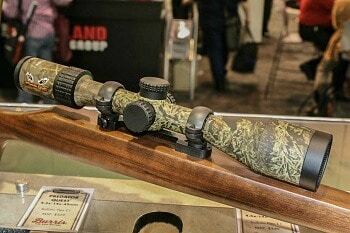 Related: The X-Bolt Predator Hunter Realtree Max-1 is also offered with .22-250 Caliber. Design Features: .308 Winchester caliber; 13.38-inch length of pull; 12-inch rifling twist; 4 rounds magazine capacity; pillar bedded stock options; rifle sights; carbon steel matte blue finish; & x-mark pro adjustable trigger mechanism. Description: Model 700 SPS Tactical by Remington is particularly designed for predator hunting. 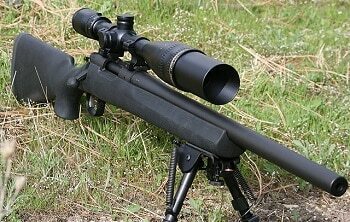 Its high quality performance is mainly attributed to the .308 Winchester-caliber. This is one of the best and most preferred hunting ammunition. It is just the right size for bringing down medium to large sized predator. It has a magazine capacity of four rounds, offering a tactical amount of ammunition for coyote hunting when compared to other rifles. The rifle’s forearm deflects and touches the lower section of the barrel. Each and every part of the gun is made of heavy-duty material, offering you guaranteed durability. You should settle for this model if you are after ergonomics. It has a highly user-friendly adjustment screw and stock. Moreover, the incorporated silencer provides you with ergonomic firing. Design Features: 257 Weatherby Magnum; 20 rounds capacity; 3500 FPS muzzle velocity; 2721 Foot Pounds; pointed soft point bullet; Norma spritzer bullet brand; brass case; boxer primer; non-corrosive; and reloaded. Description: 257 Weatherby Magnum adds considerable velocity to most .25-06 velocities. This ammunition has more horsepower than any coyote requires; however, this means you can underestimate the range, and still hit your target without holdover. You need to know your trajectory in order to assure yourself perfect shots. You will be amazed what these cartridges can do, as long as you have the right knowledge, skill, and scope. You should always remember that these cartridges are particularly designed to bring down the big targets in the wild. Therefore, it will do some serious damage on small game. You can test your mettle by using 257 Weatherby Magnum. While it recoils more when compared to other cartridges, it is just what you need for the hunt. Design Features: Easy transportation; enough room for 3 hunters; 90-inch hub to hub space; 70-inch by 70-inch footprint; and 80-inch tall for reliable standing shots. Description: You should never go predator hunting without grounder blind. You need to effectively conceal yourself from the coyote so as to get the perfect shot. The most recommended ground blind for the money is Grounder 350 hunting blind. To begin with, it only weighs nineteen pounds; therefore, it is lightweight and easy to transport from one spot to the next. It offers you ample room for up to three coyote hunters. You should not be worried about your elbows colliding with your comrades’ elbows because the Barronett Blind offers you 90-inch hub to hub room to maneuver. The gear should not worry you, you have more than enough 70-inch by 70-inch footprint. In addition, standing shots are easy to initiate because of the 80-inch blind height. Design Features: Waterproof; flexible; durable; rotates on stake with the wind; single stake; and lightweight & life-sized. 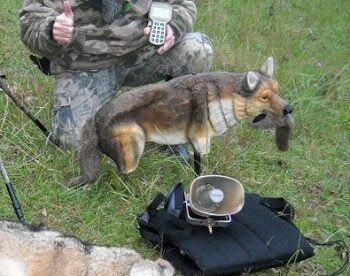 Description: Adding a decoy to your coyote calls make all the difference. Regardless of the type of call you have, Edge Yote Coyote decoy will always be an added advantage to your hunt. This lure will attract the approaching coyote, placing it in a better shooting position, in addition to your blind. It draws the coyote’s attention away from you, providing you with more than enough time to place a perfect shot. 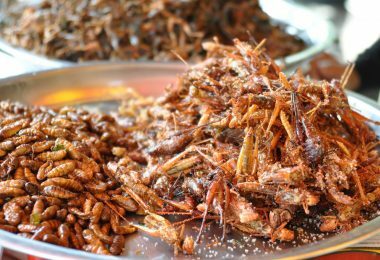 You should settle for this lure because of the following traits: it is lightweight & life-sized; it is quick as well as easy to set up; it works conveniently with other predator calls; its free moving furry tail offers believable realism; and it effectively takes tums on its stake with the wind. Design Features: Adjustable; easy carry & transportation; whisper quiet telescoping legs; extreme leg angle adjustments; improved fluid handle movement; removable V yoke; and 360-degree rotating V yoke. Description: Measuring 45.3 by 6 by 2.2 inches and weighing 1 pound, Primos® Gen 2 Trigger Stick is highly resourceful and versatile. The stick is fitted with lightweight and heavy-duty 7075 aluminum legs, which offer you easy transport. The whole stick is made of high quality material, providing you with guaranteed durability. You should not be too much concerned about the situation or the environment in which you will use the stick because it is 100% designed as well as tested. You can modify the stick to your preferred height by just pulling the trigger. Then you can lock the trigger to maintain your desired height by flipping the switch. Maintaining the target is easy with this stick because of its rotating V-yoke along with the fluid twisting handle. Design Features: GORE-TEX lining w/ waterproof protection; 10 inches boot opening; 1.5 inches heel measurement; 9 inches shaft measurement from arch; traction outsole; lock & load lacing; 400G of Thinsulate insulation; rubber sole; and leather design. Description: One of the most important predator hunting gears that you must wear is a pair of Danner high ground 8 mossy oak 400g hunting boots. These are rubber-soled leather boots with cleats, providing you with the desired traction on steep slopes and rocks. These boots are designed for speed and agility while targeting fast-moving coyotes. They are fitted with a hiking base for predator hunting. 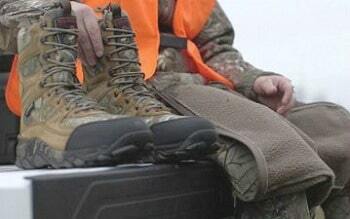 The boots fit comfortably while providing you with the comfort you need. The breathable GORE-TEX and waterproof liner protects the interior from moisture, ensuring that your feet always stay dry. The trail guard platform along with the Danner talon outsoles will offer you tremendously lightweight performance. Design Features: variable output power; adjustable IR spot position; variable beam control; increased brightness; 350mW high-powered flashlight; 350mW high-powered IR illuminator; and compact & lightweight design. 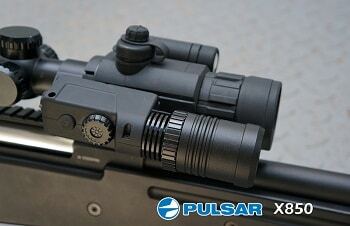 Description: Pulsar X850 IR flashlight offers uniform lighting, providing you with effective surveillance without any intrusion. The flashlight is installed with a mount that is flexible for weaver rail. It comes with an adaptor that you can use to link the flashlight to NV units. You can easily adjust the power by spinning the wheel on the torch’s body situated close to the ON button. You can achieve your desired illumination by adjusting both the spot divergence angle and power. This is a highly user-friendly torch; you can easily fine-tune the spot position in the field of view, either vertically or horizontally by loosening the ring fitting the optical assembly. Also, you can conveniently adjust the beam from narrow to wide by focusing it accordingly. Coyote hunting is fun. However, having the correct gear does not qualify you as a predator hunter. You need much more than just the equipment. 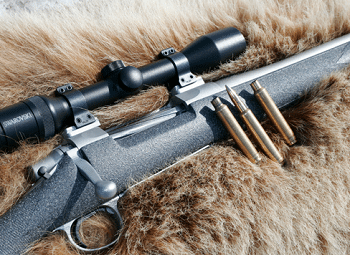 You need to know how to call the coyote, you need to know which caliber will work best for you, and you must have an appropriate hunting spot. All these factors will help you choose your gears correctly. 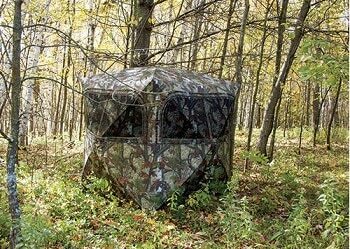 For instance, you need an effective ground blind if your hunting spot does not have good vegetation cover. Generally, your success depends on your gear and skills. Do you think we have missed any useful items? If so, please let us know in comments.